"Hide and Seek" is a short comedy directed by Mack Sennett. The film is included in our program to illustrate the contributions of our star Helen Holmes. 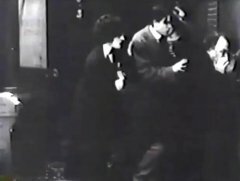 This is the second earliest surviving film with Helen Holmes that we have. 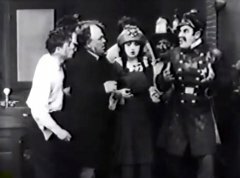 She became the audacious star of "The Hazards of Helen" a year and a half later, acting as the heroine of numerous railroad adventures. 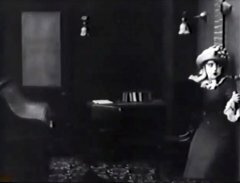 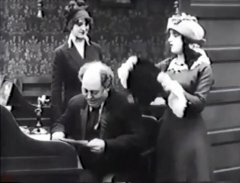 Helen Holmes, the secretary, looks on as Mabel Normand gets naughty with her father (Nick Cogley) in "Hide and Seek" (1913). 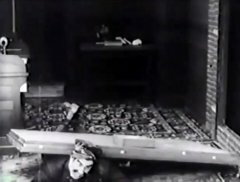 Mabel Normand plays hide-and-seek with her little sister in "Hide and Seek" (1913). 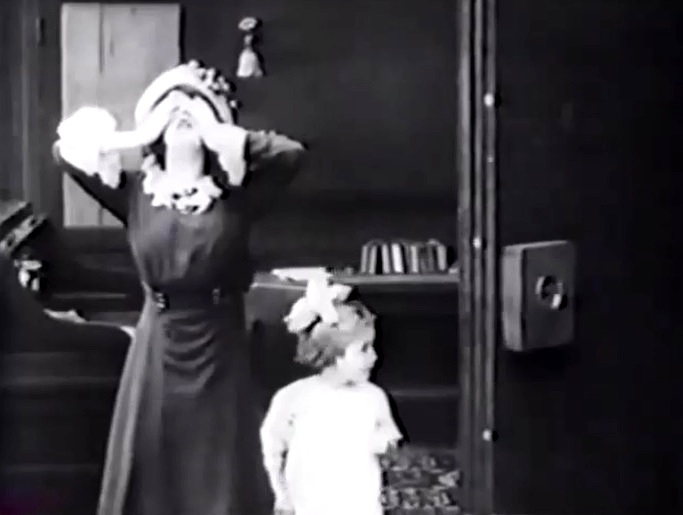 Helen Holmes waits for directions from Nick Cogley in "Hide and Seek" (1913). 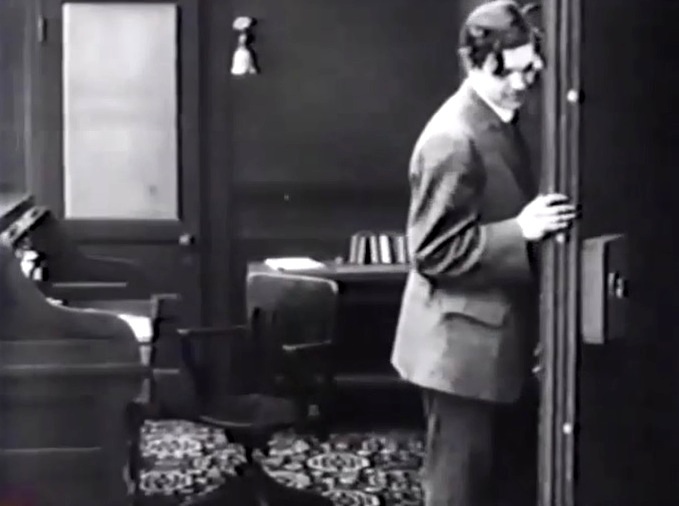 The clerk closes the vault in "Hide and Seek" (1913). Mabel Normand thinks that the little girl is locked up in the vault in "Hide and Seek" (1913). 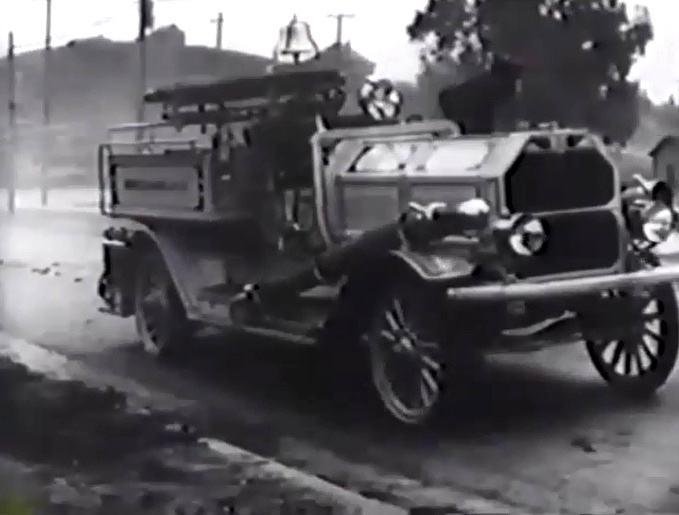 The fire brigade arrives to try and open the vault in "Hide and Seek" (1913). Helen Holmes and the others try to talk to the little girl in "Hide and Seek" (1913). 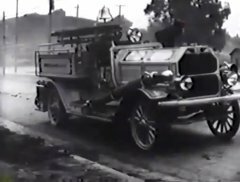 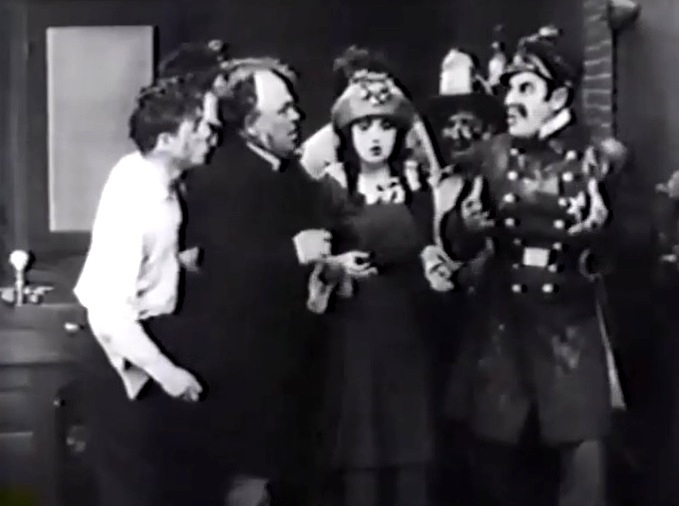 Ford Sterling, the fire brigade chief, takes charge in "Hide and Seek" (1913). 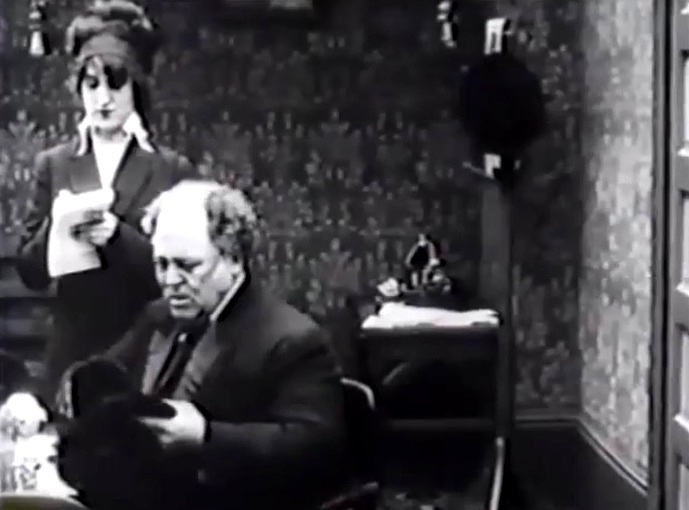 The vault is blown up and the door falls on top of Ford Sterling in "Hide and Seek" (1913).